Investing is all about the future, and it’s good advice for any long-term investor to look five, ten, twenty years down the road rather than at how to make a buck today. The seven companies listed here are all focused on one area that will be dominating the future of our world: artificial intelligence. 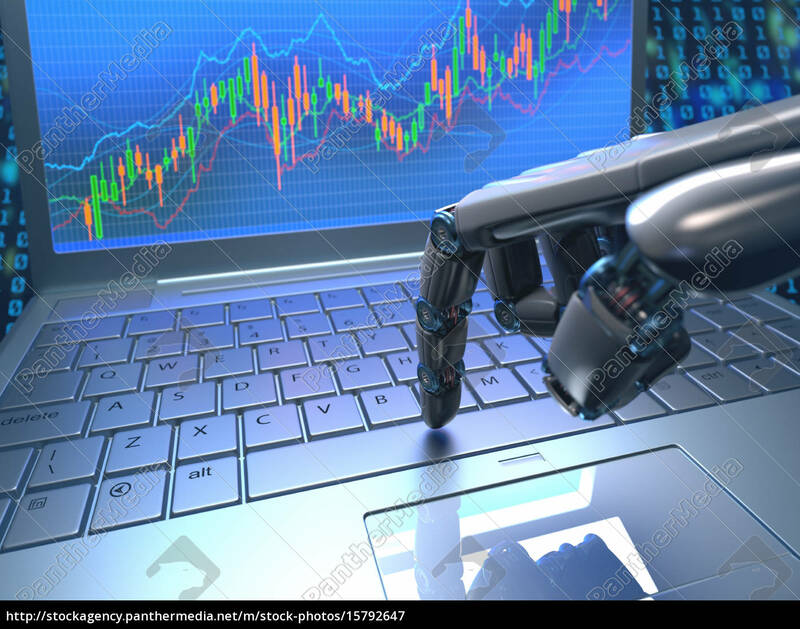 Consider investing in these artificial intelligence stocks today and enjoy the returns for decades to come, if not longer. There’s no particular order to this list; all of these companies are heavily invested in AI-based consumer goods and technologies. All of them are making rapid strides in developing new products and ideas that will define the future of mankind. Disclaimer: The author does not have a position in any of these stocks, nor does he plan to invest within the next 72 hours. This article does not constitute investment advice. It is intended for entertainment purposes only. Google, which is now structured under the umbrella of Alphabet, Inc., was an early entrant into many emerging technologies like cloud computing and artificial intelligence. “Compared to the control (where no re-ranking was done), we saw a 20 percent increase in the app install rate from the ‘You might also like’ suggestions,” Google employees Ananth Balashankar, Levent Koc and Norberto Guimaraes wrote in a 2016 blog post. Google has also been working for several years on an autonomous vehicle technology program called the Google Self-driving Car Project, which has now burgeoned into its own spin-off entity, Waymo, boasting the most number of self-driving miles ever driven by test vehicles. Although there are rumblings about discontent within Google about how DeepMind, another Alphabet holding purchased by Google in 2014, didn’t have revenue goals and pretty much operated as an independent entity, a recent report revealed that Google cofounder and Alphabet CEO Larry Page has sanctioned a new staff hire of 150 employees for what’s being called its “applied” unit. DeepMind was also responsible for cutting cooling unit power consumption at Google’s datacenters by 40%, and has contributed towards Google’s text-to-speech engine – Google Cloud Text-to-Speech to make it more human-sounding, as well as similar contributions to Google Assistant, the smart virtual assistant found on Android devices and Google Home range of smart speakers. Alphabet also invests in AI and other forward technologies and proven concepts through its investment arms, Google Ventures and CapitalG. Formerly Tesla Motors, Tesla, Inc. is the global leader in electric vehicle technologies. Their runaway success story, the Tesla Model 3 is getting ready to launch in Europe, with the 3,000 cars a week to be shipped from the United States beginning February 2019. Tesla has started posting profits starting in Q3-2018, and hopes to sustain that through the future. The Model 3 has helped tremendously, and the planned launch in Europe and other international markets should keep their heads above the water moving forward. But that’s not the only reason to invest in Tesla. Its Autopilot technology, now driven by an in-house AI chip on the Tesla Autopilot Hardware 3.0 suite, is touted as the technology of the future today. Tesla, along with Waymo, is now one of the companies most likely to achieve full self-driving capability with their respective technologies. CEO Elon Musk has already promised to try and bring FSD to its fleet by the end of 2019. While that’s a tough timeline to meet, Tesla Software Version 9 already has the basics of AI-driven technology. Microsoft Corporation is another early adopter of artificial intelligence technologies. It currently has several AI balls in the air, including machine learning and predictive analytics integration into Cortana, Bing, Microsoft 365 (Office 365 bundled with Windows 10 and Enterprise Mobility and Security), Dynamics 365, Microsoft Translator (speech recognition) and more. Chip maker NVIDIA’s vision for AI is not a new story. For many years now, the company has bet on AI and cloud, focusing laser-like on providing processing power to intense workloads required by AI systems and cloud computing data centers. I’ve outlined the growth potential for the company’s datacenter business because that is currently an emerging segment that I foresee will be one of two mainstays for the company moving forward. The other, of course, is gaming – their strongest segment currently enjoying 17% growth. And it happened at the end of the following fiscal year, which ended on January 28, 2018. That’s not an easy prediction to have made considering that data center revenues were half that of professional visualization when I wrote that article.